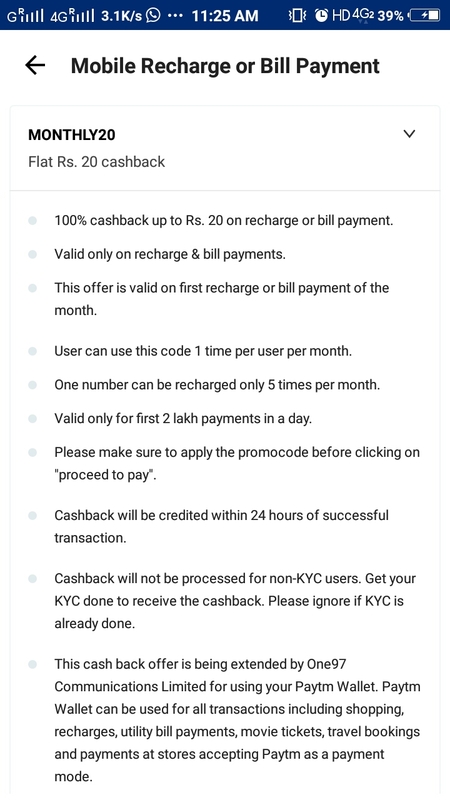 Paytm Gives a Rs.20 Recharge For All Operator Every Month. 2- Select Mobile Prepaid Option and FillAll. Detailes. 3- Click on Have A Promocode and Enter This MONTHLY20 this is important to get cashback. 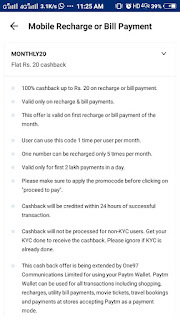 4- Now Pay with suitable payment mode and Get cashback in 24 hr.